Ferguson hasn’t seen more than seven monthly home closings in the past year. The annual income of a Ferguson resident is $39,377, and there are roughly 836 households and 21,129 residents. 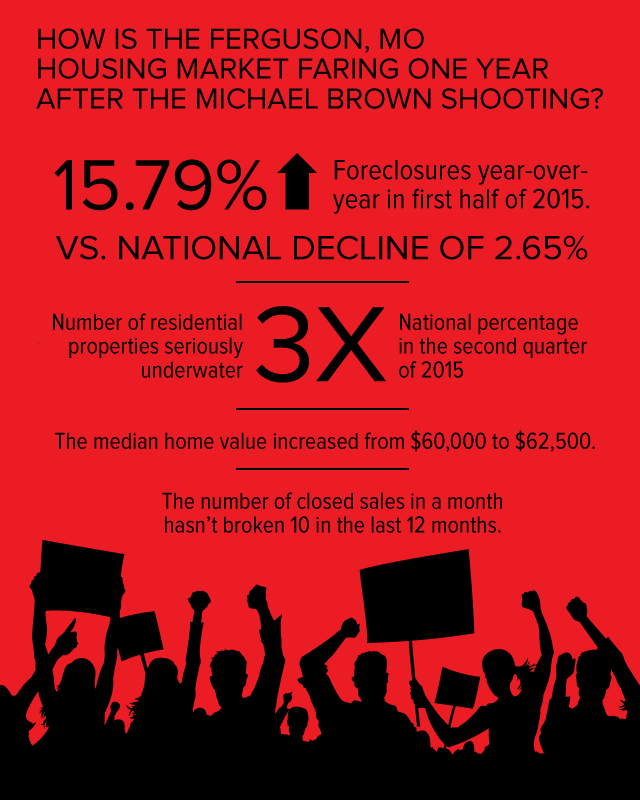 The median annual price of a home in Ferguson increased from $60,000 in July 2014 to $62,500 in July 2015. Read our full story about how the Ferguson housing market has shifted.